Alexander Rossi will join Campos Racing’s GP2 Series effort this weekend, having announced the decision to split with the Caterham F1 and GP2 teams. Rossi will drive in place of Kimiya Sato, who will be competing at this weekend’s Auto GP round at the Red Bull Ring. As a consequence, former RUSSIAN TIME pilot, Tom Dillmann will occupy Rossi’s former seat with the EQ8 Caterham GP2 team; however whereas Rossi takes the Campos drive for Germany only, Dillmann is to remain with Caterham until at least Hungary. This has been a very difficult season thus far for both Rossi and Caterham. The American lies 16th in the standings during a year when pre-season promise has proved extremely flat in practice. Meanwhile, Campos Racing have enjoyed a reasonable first season back in GP2, primarily at the hands of Rossi’s new teammate Arthur Pic, who has scored points in six of the ten GP2 races so far. This marks a key point in Rossi’s career to date. It is no secret the American is quick and has shown good form against some top opposition in past season’s, but the treaded path has not always been the most consistent. What Rossi does next will be very intriguing, especially when one considers the relative importance of the US market to certain parties the in Formula One paddock. Rossi’s departure comes on the back of numerous changes within the Caterham F1 organisation, which was bought out by Swiss and Middle Eastern investors two weeks ago. Following the sale, Colin Kolles took charge of the squad, while Christijan Albers has become Team Principal; assisted by long time Kolles associate Manfredi Ravetto. 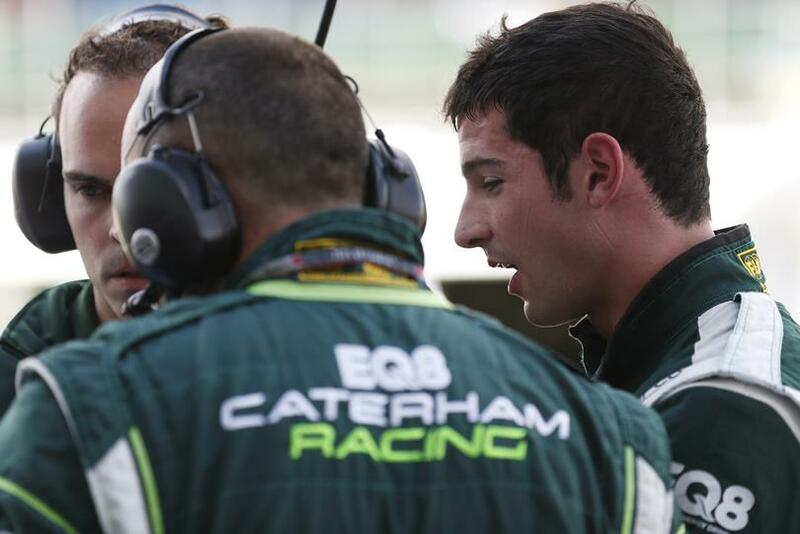 Since then, the Ravetto-managed Nathanaël Berthon has been announced as the lead Caterham Development Driver. Meanwhile, this will be Dillmann’s second GP2 appearance of the year, having filled in for the injured André Negrão at Barcelona in May. At that round, Dillmann scored a podium in the Sprint Race after starting from pole. A former German F3 champion, Dillmann was one of the unmentioned keys to RUSSIAN TIME’s success. He is previously a GP2 race winner, having claimed the top spot at Bahrain for the Sprint Race in 2012 with Rapax. 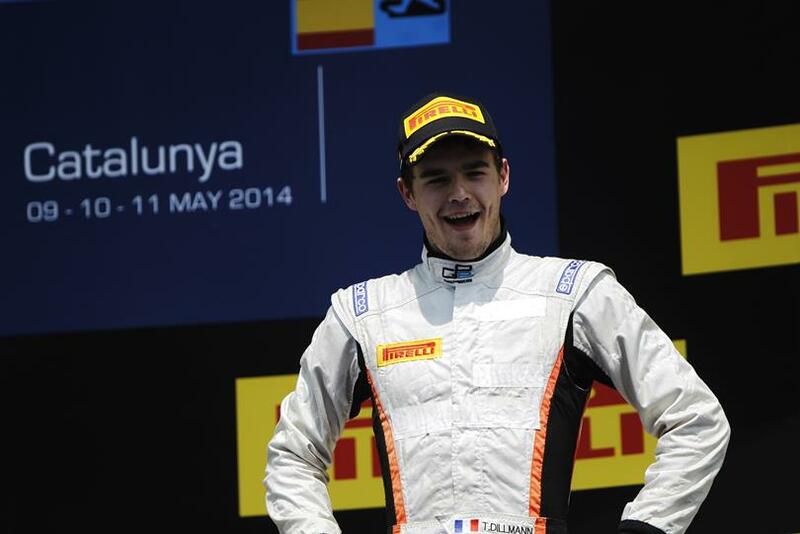 Dillmann, meanwhile, scored a podium in Spain. © GP2 Series Media Services.